Bhubaneswar: A true social entrepreneur, Mr. Santanu Mishra, Co-founder and Executive Trustee of Smile Foundation, was awarded for his exemplary work in the social sector space at the 8th Living Legend Award by Odisha Diary Foundation in Bhubaneswar. His efforts mark the emergence of an intersection – where innovation, technology, media and business give momentum to social purpose. 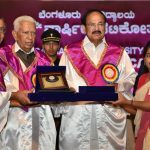 The award commemorated the metamorphosis of the social sector space, in juxtaposition with entrepreneurship and innovation. 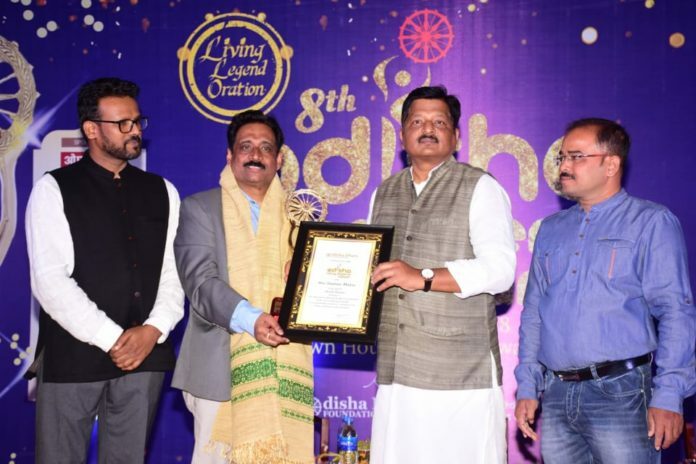 The Annual Living Legend and Youth Inspiration Awards were conferred on leading individuals and groups that have made an excellent contribution to different social verticals in the state of Odisha. It was organised by OdishaDiary which completes its 14th Year on 11thNovember 2018. 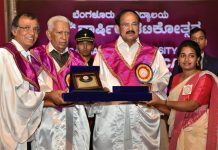 In last seven years many leading names have been awarded with Odisha Living Legend Awards. 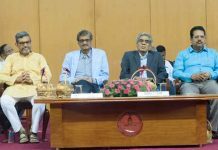 This year several notable personalities won awards including Madhu Pandit Dasa, Dr Ramakant Rath, Budhadeb Meher and Rita Ray, Sisir Mishra, J. K. Mohanty and Dr Swarup Ranjan Mishra. Mr. Santanu Mishra has redefined the nuances of social entrepreneurship, establishing that it doesn’t have to be a struggle. Using everyday business solutions to solve community based problems; he has championed the causes of Education, Health, Woman empowerment, and skill development over the past 15 years. His outlook on businesses, which are streamlined to achieve social objectives, is stepped in volunteerism and social responsibility. Social entrepreneurship is an altruistic form of business that focusses on the benefits that society may reap. A social endeavour, it transforms social capital into a service or product which influences the society positively. It is advantageous as it pioneers, spearheads and often drives social impact that traditional corporate businesses do not prioritize. 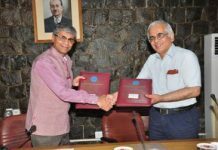 Smile Foundation has pioneered the principles of good governance amongst non-profits and the innovative concept of Social Venture Philanthropy (SVP) in order to enable other grassroots organization to achieve accountability, scalability, sustainability, and leadership. Under Mr. Mishra’s able leadership and guidance, Smile Foundation has reached out to more than 600,000 underprivileged children, youth, and women directly through more than 250 welfare projects covering areas such as education, healthcare, youth employability, and women empowerment. The development organization is present across 25 states in India and has won many accolades and awards, including include Asia Pacific Child Rights Award, Healthcare Leadership Award, Barclay’s Bank Chairman Award, and GE Healthcare-Modern Medicare Excellence Award, amongst others.